Advanced threat protection and compliance for small business. EventTracker Essentials is specifically designed to deliver the results small- and medium-size businesses (SMBs) need in a practical and cost-effective model. Traditional security solutions cannot compete with modern malware. Malware attacks increasingly use mutation to reduce the chance of being fully eradicated, even if successfully detected. More than just technology, EventTracker Essentials is a 24/7 managed security service powered by an enterprise SIEM platform trusted by global brands, energy utilities, universities, government, and military, packaged to fit the needs of SMBs. We’ve never seen a time-to-value in cybersecurity quite like what we’ve seen with the Netsurion | EventTracker partnership. 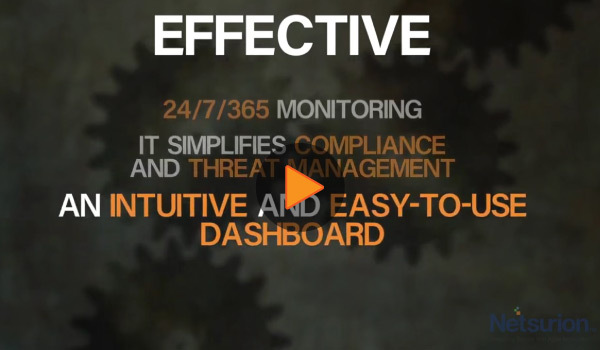 The EventTracker Essentials Co-Managed SIEM solution delivered to our MSPs has made a positive impact from day one. With a light-weight sensor deployed to your critical endpoints, you’ll be alerted immediately of any potentially dangerous anomalies or suspicious activities. EventTracker Essentials uses human-supervised machine learning to understand your business environment and more accurately determine what events you consider threats, and enable automated responses to specific events. EventTracker Essentials provides 24/7 monitoring of your network for advanced threats that evade anti-virus and firewalls. With real-time alerting and remediation recommendations, be confident that your network is defended, while you focus on your core business responsibilities. EventTracker Essentials makes effective cybersecurity practical for all organizations, but is especially powerful for MSPs. With EventTracker Essentials, IT service providers are able to efficiently support multiple customers with a single pane of glass, and to provide the most effective managed security to their customers without any additional overhead.